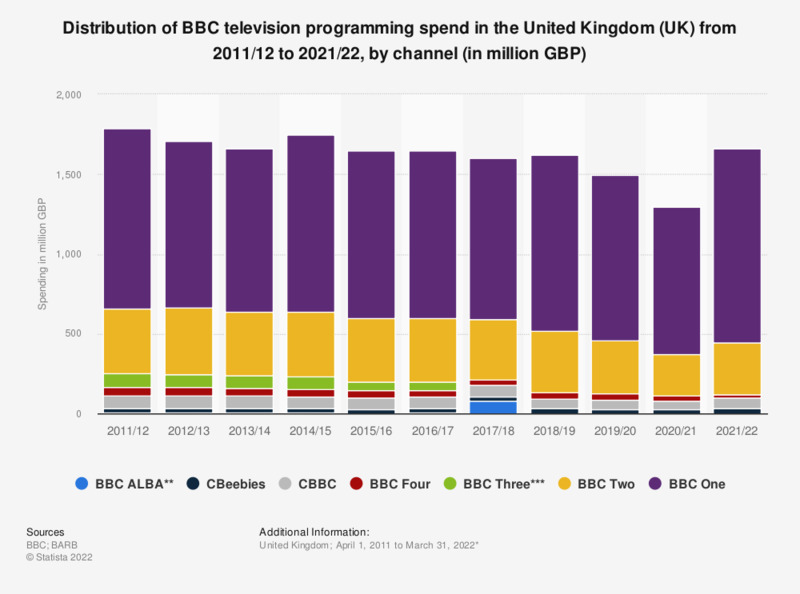 This statistic displays annual BBC TV content spending by TV channel in the United Kingdom from fiscal year 2011/12 to 2017/18. In fiscal year 2017/18, spending on BBC One amounted to 1.01 billion British pounds. * BBC's fiscal year ends annually on March 31. Data for fiscal years prior to 2015 were published in earlier annual reports. ** The 2015/2016 annual report offers no data for BBC ALBA. BBC Three ceased operations February 16, 2016.